Sailing is a fantastic way to get out and enjoy the water. 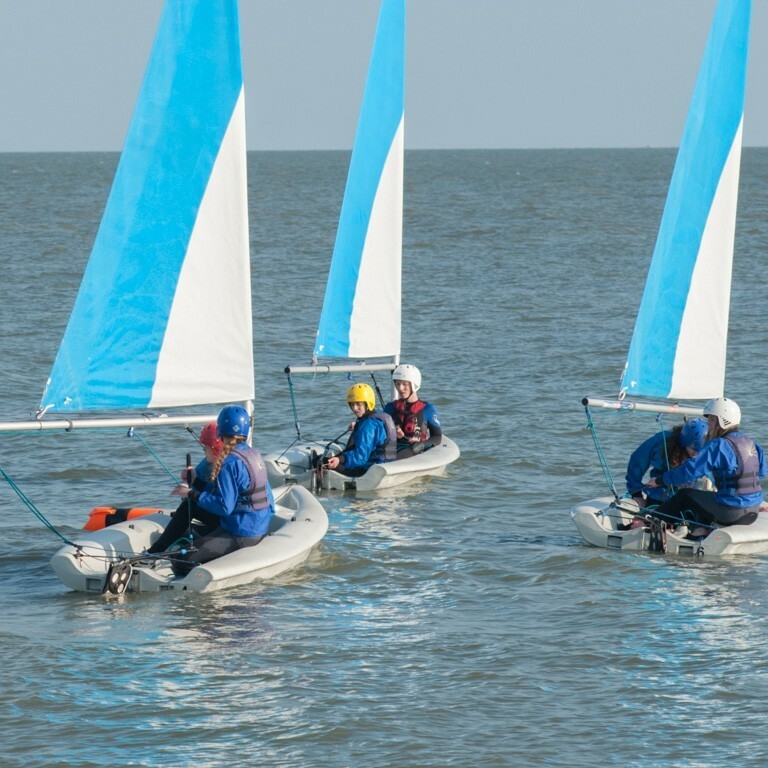 With our fleet of dinghies we can coach you from complete beginner to advanced, and introduce you to racing skills. We are a Royal Yachting Association (RYA) training centre. Whatever your level, and whatever the weather, we can pretty much guarantee to get you out on the water. Princes Park lake is the perfect location for beginners and juniors, with its shallow water and accessibility. 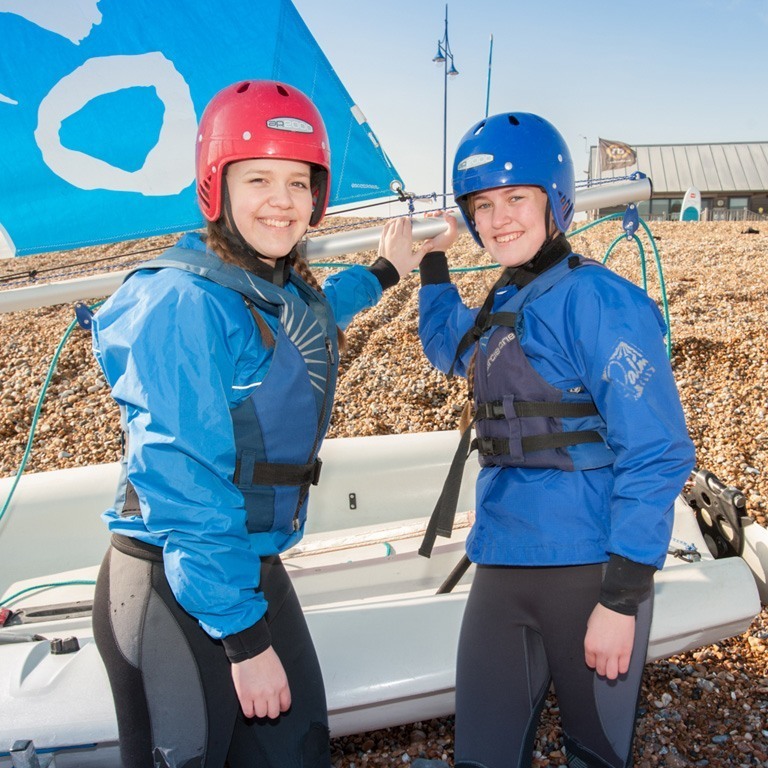 Then it’s out on the sea, off Eastbourne beach, when the conditions are right for intermediate and advanced skills. We offer courses for adults and children, school groups, corporate outings, 1-to-1 tuition and school holiday courses. Alternatively, as a club member you can enjoy weekly group sessions, with guidance from our many instructors, using your own equipment or hiring from ours. 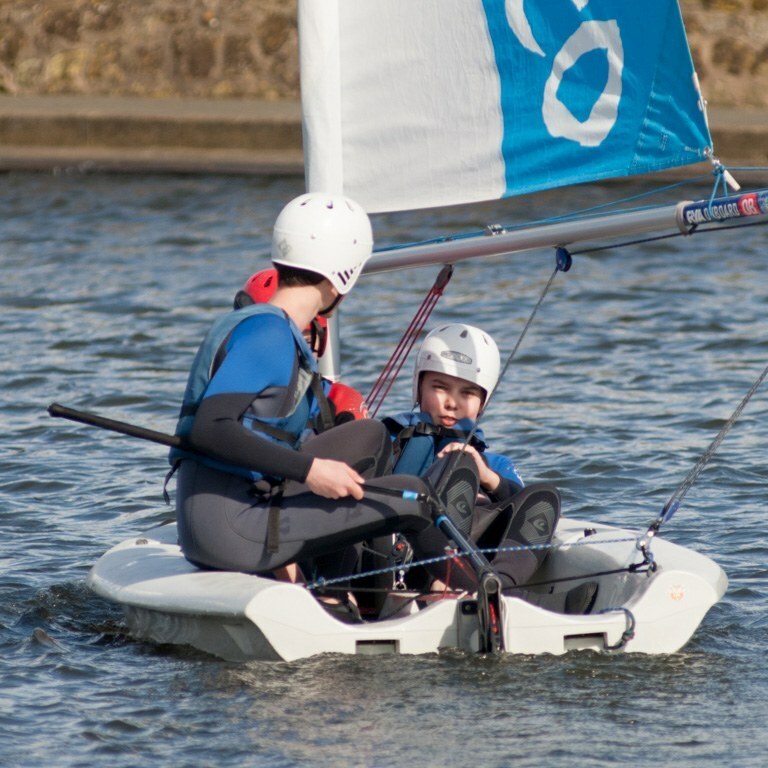 Dinghy sailing is an exhilarating, hands-on water sport. With our fleet of boats, and expert tuition from our team of instructors, you will be loving it in no time!